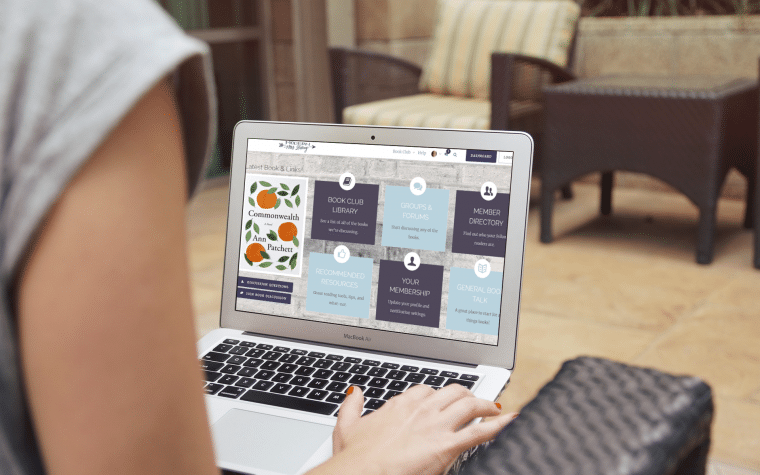 Merriam-Webster defines “juicy” as “rewarding or profitable, especially financially.” My favorite definition is “interestingly scandalous.” Pair “juicy” and “memoir,” and what you often get is a book that’s awfully hard to put down. The fifth category for the 2017 Reading Challenge—for those of you who want to put the “oomph” back in your reading life—is “a juicy memoir.” Why? This is your opportunity to intentionally read a genre you might not typically pick up, and to have fun doing it. When I think juicy, I think interesting—the kind of stories that, were a friend sharing them over coffee, would make you lean in and lower your voice. Also interesting: if you scan the list of titles I included here, many of these interestingly scandalous stories were also hugely profitable for their authors, because publishers are willing to pay big bucks for the intimate details. Need ideas for this category? These eleven titles are either personal favorites, or high on my personal TBR list, probably because you recommended them. 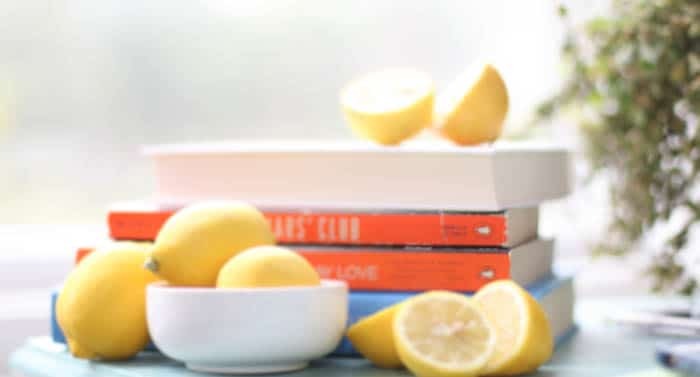 For the challenge, define “juicy” however you like, but definitely choose a memoir—and make it an interesting one. 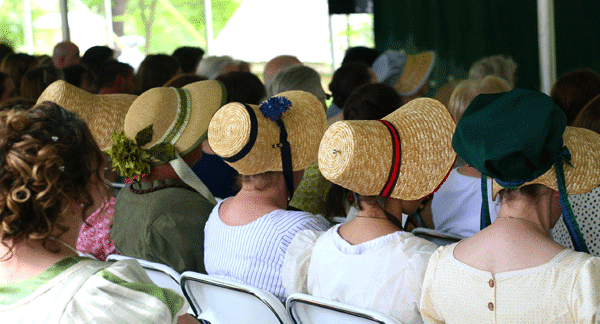 Next:Mark your calendars for the 9th annual Jane Austen Festival! Just finished reading “The Nine of Us: Growing Up Kennedy” by the last surviving child of Rose and Joe Kennedy. It wasn’t particularly juicy, but full of interesting and lovely family photos as well as early memories from Jean Kennedy Smith. It was an enjoyable peek into the lives of the famous Kennedy clan. Published in 2016. I would definitely recommend “Talking as Fast as I Can” as an audiobook. Especially if you’re a Lauren Graham fan. I loved Lauren Graham’s book when I listened to it last year, but hands down my favorite memoir of 2016 was Anna Kendrick’s Scrappy Little Nobody. I’ve listened to it twice so far and I just really love both the content and her performance. I’m definitely going to check out Who Thought This was a Good Idea?. I’ll be interested to know what you think “Who thought this was a good idea?” I abandoned it after 2 chapters. Really disliked it. 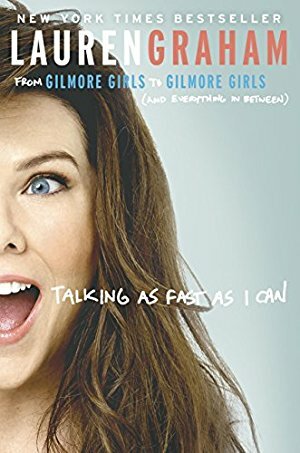 “Talking As Fast As I Can” is on my list to read for this summer. I also have her novel that I’m hoping to get to. I thought they would both be good vacation reads- or when I need a break from some of the more intense stuff. I’m adding Rob Lowe’s bio as a possibility, too. I totally recommend “The Rules Do Not Apply” by Ariel Levy. I couldn’t put it down — she is such an engaging writer. Awww, sadly I am not impressed by this list at all. I prefer memoirs from folks who are NOT in the spotlight…on the whole, I’ve found those to be much more satisfying. Well, I think the word “juicy” is what tips this list toward celebrity memoirs rather than “normal” people. I agree with you, though. Memoir is my favorite genre, but it’s really rare that I enjoy a celebrity one. I just read My Lovely Wife in the Psych Ward, and I couldn’t put it down. Heartbreaking and engrossing. I feel this way too. I don’t read books to catch up on juicy lives of celebrities. A fantastic memoir, almost unbelievable in the way she grew up, is the The Glass Castle, by Jeannette Walls. You will not be disappointed. Leah Remini’s memoir about her time in the church of Scientology is definitely juicy and surprisingly entertaining. Another Scientology memoir is “Beyond Belief” by Jenna Miscavige. Way better than Leah’s book. Stories I Only Tell My Friends was fantastic. It was engaging and entertaining. Rob Lowe is an interesting person and I came away thinking he is an overcomer. 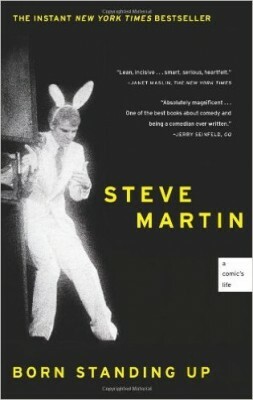 His accounts of meeting famous people before they were famous and the impact they made on his life were provocative. I’m disappointed that most all of these memoirs are “celebrity” memoirs. Given the surge in popularity of the memoir, there is a wide variety of memoirs available that meet regular folks where they live rather than where they don’t. If I might, here are my eleven plus one. 🙂 Some ones I’ve loved are The Glass Castle: Jeanette Walls, Realizing River City: Melissa Grunow, Refuge & When Women Were Birds: Terry Tempest Williams Wild: Cheryl Strayed, H is for Hawk: Helen McDonald, Townie: Andre Dubus III, Life Among the Savages: Shirley Jackson, All Over But the Shoutin’: Rick Bragg, 100 Tricks Every Boy Can Do: Kim Stafford, Why Be Happy When You Can Be Normal: Jeanette Winterson, The Autobiography of a Face Lucy Grealy. Oh yes, Wild! Such a good one! Oh, I loved Autobiography of a Face, too! And listening to H is for Hawk was wonderful – the author narrates it, and that always (usually) enhances the experience. We share similar tastes it seems, so I recommend to you Beautiful Affliction by Lene Fogelberg. It’s a book that has stayed with me since reading it. Thank you! I’ll look it up. Happy Reading!!! I love Amy Poehler but I’ve heard her book just isn’t that good which makes me sad.. but maybe I’ll just need to find out for myself!? I got it on Audible months ago and I wasn’t impressed. 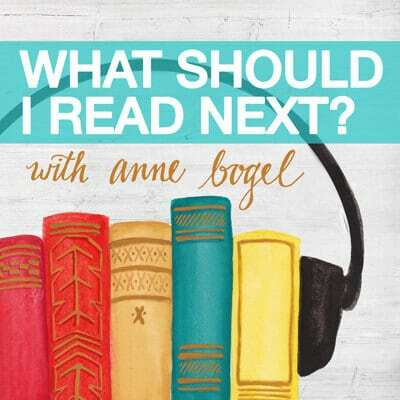 However, I also listened shortly after I finished Bossypants (which is known to be much better.) I’ll probably try to listen again because I do LOVE Amy Poehler. 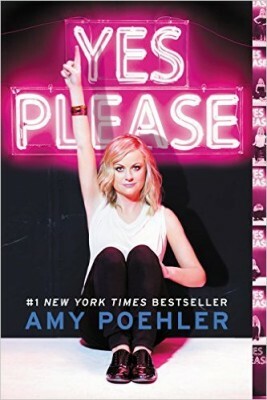 I love Amy Poehler (Parks and Rec is my favourite show of all time), but I wasn’t really all that impressed with her book unfortunately. It was so good. I don’t go for celebrity. It was just a fun read with some great life advice. I am getting ready to read “Girls Like Us: Carole King, Joni Mitchell, Carly Simon and the Journey of a Generation”. Sounds really juicy. Thanks for mentioning this. I LOVE Carole King and reading about the creative process of artistic genius. PBS aired a program about her life and music several years ago. I love Carole King, since I was a little girl, and I saw that PBS show, too. Have you seen the Carole King and James Taylor concert at the Troubador that PBS plays now and then? I SO wish I could have seen that concert! I love that concert Carole King/James Taylor concert! It’s one of my favorites on PBS, and one of the few during which I won’t gritch about all the telethon breaks. I don’t think of myself as a nonfiction reader, but I’ve actually read more than half of these! So funny. I’ve had The Princess Diarist on hold from my library’s digital collection for months. I’m still patiently waiting (#13 of 12 copies, now!). I love Star Wars and when I was a little girl, I was Princess Leia, so this is my pick. Although, some of these look pretty interesting and I’ll probably have to check them out, as well. 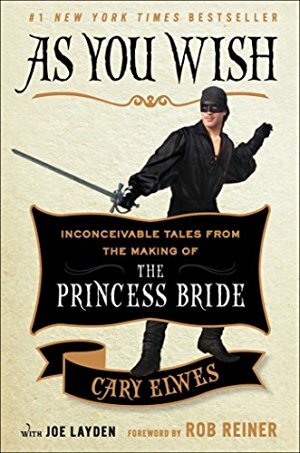 I was disappointed in The Princess Diarist, but so many people have raved about Carrie’s writing so I’m going to try “Wishful Drinking.” It’s been on hold for quite some time at my library too. When I think juicy memoir the first book that comes to my mind is Fast Girl: A Life Spent Running from Madness by Suzy Favor Hamilton. While reading it I just kept thinking, “Is this real? I can’t believe this is real.” It’s crazy and yet still has such an important, powerful message. That’s what I thought about The Glass Castle by Jeannette Walls. I’ll have to try this one too! 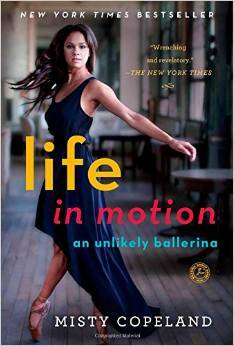 Anne, would you recommend “Life in Motion…” for an almost 13 year old? She has a passion for ballet, so I’m always searching for books for her. But it needs to not have language, etc. 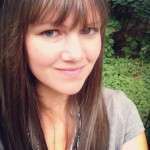 Her dad, my son, is a pastor; she goes to Christian school, etc. So knowing that, do you thing Misty’s story would be appropriate. It is probably just fine, but if you’re in doubt, give her the new young readers’ edition! I agree! I think I would have loved it as a 13 year old. I heard from a friend that Born to run is of a similar vein and I’m also not a big fan of Springsteen but can appreciate the genius, so I’m going to give that one a go too. I also hear good things about Open – Andre Agassi. Anne, have you read Battle Hymn of the Tiger Mother? I LOVED THIS BOOK. Also recommend the audible version as you get a real sense of the author and her sense of humour which is surprising and endearing. I read “Battle Hymn of the Tiger Mother” years ago, and found it so fascinating. Even in the written book her humor came through. My IRL book club discussed that one, and had great fun with it. Don’t tell her, but I think my DIL may have a little bit of the Tiger Mother in her??. “Stories” is really great especially in audio because Rob narrates it. He has a very charming way of introducing his celebrity friends. 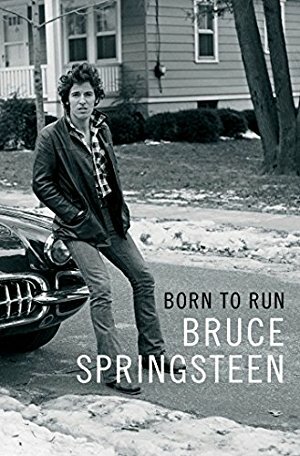 Born to Run is also good in audio for the same reason, but the focus is much more about what drives him as a musician. I found the first 1/4 a little slow moving. Open is amazing. Possibly my favorite memoir ever. So well done. I was about to comment recommending Open. Really good and thoughtful, even if you are not a tennis fan. Lots for parents to think about. Open was beautifully written and I highly recommend it. I appreciate you mentioning it! I’m going to put it on my to-read-again list! I surprised myself by loving Drew Barrymore’s memoir, Wildflower. She drops the F-bomb a few times, but it honestly didn’t bother me because of her upbeat attitude and love of life! She had such a crazy childhood, I just kept dropping my jaw and shaking my head. Loved Glass Castle too!! Jeanette Walls is amazing. I second the memoir Open by Andre Agassi. It’s actually ghostwritten by JR Moehringer, journalist and author of The Tender Bar (another great memoir). I don’t follow tennis, but the writing and detail in this story make it an engrossing read. There’s a lot of juicy, and some very funny moments, too. Highly recommend the audio version. Wildflower​ by Drew Barrymore and Boys In the Trees by Carly Simon were definitely interesting and eyebrow raising lol. 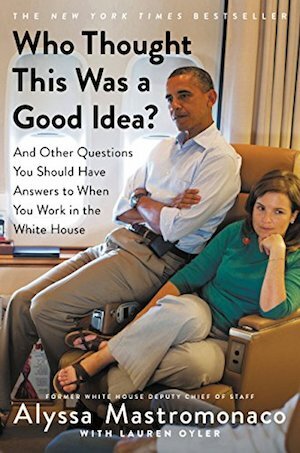 Carly’s book is especially fantastic on audible! I recently discovered my affinity for memoirs, and boy do I love them now. I’m SO excited to read this list. I’ve poured through the mainstream ones like Fey, Poehler, Kaling, and so on. Now I want some with a bit more depth to them. Can’t wait!! Thank you for this list! Fun list! I heard an interview with Mastromonaco on the podcast Lit Up and I’m so very excited to read her book. Why isn’t it at the library yet? 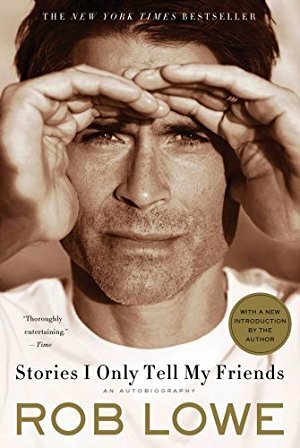 Also- rob Lowe is fantastic narrating his book. Loved it! 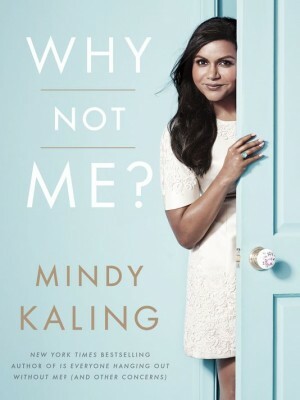 I love a juicy memoir! 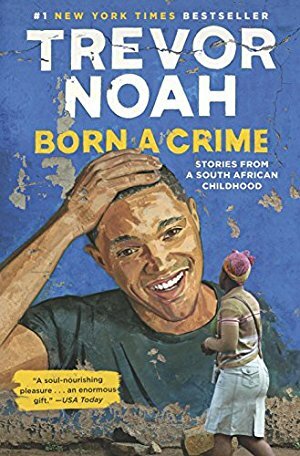 I loved Born a Crime (it was fantastic on audio…Noah’s accent really makes it, so nice to listen to) and added Who Thought This Was a Good Idea to my audio TBR list! I’ve been hearing lots of great buzz about it. I chose Coming Clean by Kimberly Rae Miller as my Juicy Memoir for the 2017 Reading Challenge. It’s about a woman who grew up with parents who were hoarders. It was a pretty good one! I just started the Audible version of Smoke Gets In Your Eyes: And Other Lessons from the Crematory by Caitlin Doughty, and it is FASCINATING. Ms. Doughty got a job in a crematory as a way of dealing with her fears of death, after witnessing a falling death as an 8 year old. So far it’s both graphic and incredibly thoughtful. Not for the faint of heart, but juicy for sure. Lab Girl was my juicy memoir selection. Perfectly juicy for a science geek. It was so much more than I thought it would be. I’m almost finished with Alyssa Mastromanaco’s book and while the writing isn’t the strongest, the dishy details are so interesting. You’re right, if you like the West Wing or are fans of anything political, you’ll enjoy hearing these behind the scenes stories. I’m adding a few more of these to my list. These are mostly new, and there are some good ones in there. I also like the letters and diaries of Anne Morrow Lindbergh – starting with Bring Me a Unicorn. And, I think mentioned in a recent podcast, West With The Night. So good! I read Seth Haine’s memoir, Coming Clean, for this category and LOVED it. The book is a couple years old, I think, but it was new to me. Even though alcoholism hasn’t been a struggle for me, I so resonated with his raw account of wrestling with ones own brokenness and the heartbreaks of parenting. It was beautifully written and I totally recommend it. Especially for those looking for a regular life, non-celebrity memoir. Definitely would recommend Talking As Fast As I Can. Like you said – it is inevitable. I read the physical book but I also did hear it is fantastic to listen to her voice in the audiobook. Have you read her first book? The Who Thought This Was a Good Idea? book is horrible. It is a tedious brag-a-thon filled with a ton of unecessary vulgarity and overly personal cringe-making details. Do you want to know about her period? Well, read this book.